Pulse together flour, salt and sugar in a food processor. Add cold butter and pulse until a coarse meal is formed. Drizzle in 1 tablespoon of water at a time until a lumpy dough begins to come together. Be sure to not add too much water, as the ideal dough isn’t sticky. If you don’t own a food processor, whisk together flour, salt and sugar in a large bowl. Using a fork, pastry cutter or your fingers, combine the butter until a coarse meal is formed — about the size of small peas. Use a spatula to slowly add in water. Turn half of the dough onto a floured surface and shape into a disc. Wrap in plastic wrap and refrigerate for at least 30 minutes. Repeat with other half. Unwrap dough on a floured surface. Flour hands and rolling pin. Roll out dough into a circle, about ¼-inch thick, large enough to fit over the pie pan. Place dough and lightly press into pan. Trim or crimp edges and bake based on full recipe instructions. Make it savory by removing the sugar, cutting down the butter to ¾ cup and adding in ½ cup whole milk ricotta cheese. Using a paring knife, remove skin on peaches and slice in half, being careful while removing the pit. Discard pit and slice into ½-inch wedges. Add peach slices to large bowl with sour cream and brown sugar. Use a wooden spoon to toss until fully combined. In a large bowl, combine all ingredients with a fork or your hands until crumbled and butter is the size of small peas. Prepare half of a traditional crust recipe, roll and press into a pie pan. Prepare peach filling and pour into pie pan. Prepare streusel topping and generously top pie from edge to edge. Bake 45–50 minutes or until golden brown and peach filling is bubbling. Heat oven to 400 F. Line two large baking sheets with foil. Place dredged chicken about 2 inches apart. Bake 30 minutes, flip and bake an additional 20 minutes or until golden brown and juices run clear. Add oil to a heavy-bottomed pot and bring to 350 F over medium-high heat (you can measure heat with a candy thermometer). Line two large baking sheets with paper towels and place one where you will begin dredging chicken and one on the opposite side of the pot, for draining the chicken. Place chicken on the first baking sheet, skin-side down, to remove some of the moisture. In a medium-sized bowl, mix together butter, paprika, garlic salt, salt and cayenne until fully combined. Set aside. In a shallow dish, whisk together eggs and buttermilk. Place next to the chicken. In another shallow dish, whisk together flour, cornstarch and salt. Set next to the eggs for your dredging station. Start by coating all chicken pieces with 2–3 teaspoons of the butter mixture, including underneath the skin. Once all pieces are coated, begin dredging and frying. Step 1: Dip coated chicken into the egg mixture. Step 2: Coat chicken in flour mixture on all sides. Don’t shake off the excess. Step 3: Carefully place chicken in heated oil. Fry until golden brown and juices run clear, about 12 minutes for drummies and 15 minutes for thighs. Step 4: Remove chicken and place on second paper-towel-lined baking sheet. Repeat until all chicken is cooked. Serve in batches or keep in 250 F oven until ready to serve. We opt for strawberries and mango in this spin on the classic Orange Julius. To turn this kid-friendly recipe into an adult version, simply add 1 1/2 ounces of your favorite vodka or clear rum before blending. 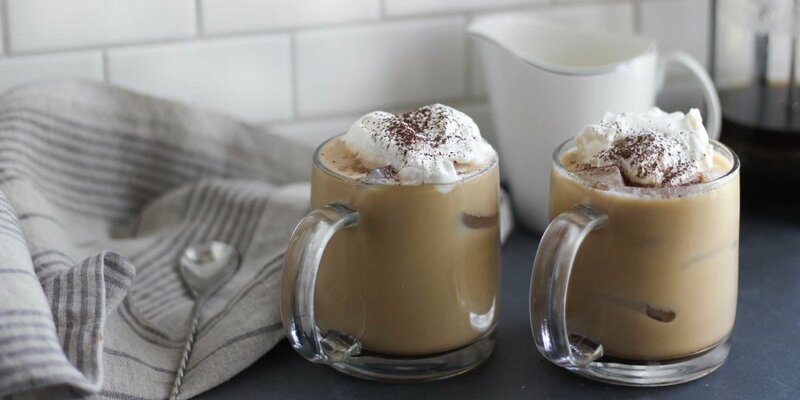 Pour into a tall tumbler or pint glass and serve immediately. If no mango juice is available, substitute mango juice concentrate. Toss together bread and butter on a large baking sheet to coat. Spread in an even layer and bake until fully toasted, about 12–15 minutes. Set aside. 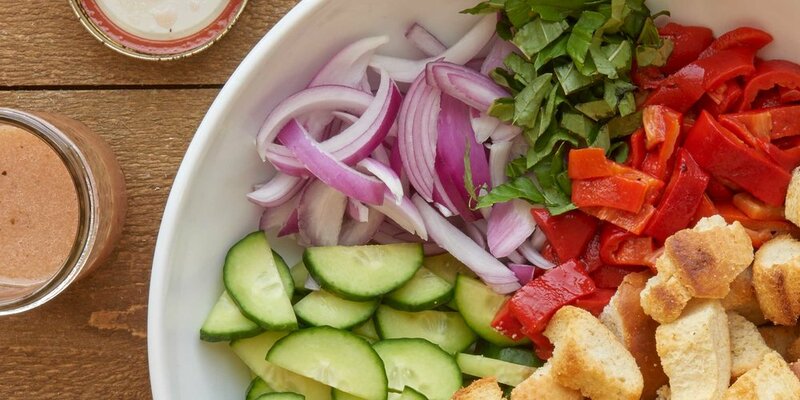 In a large serving bowl, whisk together olive oil and vinegar. Add in cucumber, red peppers, onion and croutons. Toss to coat. Season with salt and pepper and serve immediately. When your base is a balance of buttery croutons and a drizzle of vinaigrette, you can’t go wrong with the extras that get tossed in. 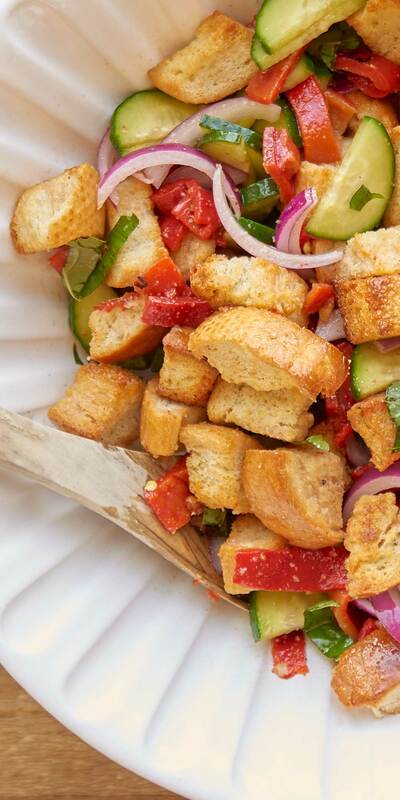 If Italian-style isn’t your speed, give our other combos a try that stretch a day-old loaf to a salad that stuns. Add ¼ cup hot sauce with the butter and bread mixture before toasting. Toast and let cool. Whisk together ¼ cup olive oil and 2 tablespoons red wine vinegar in a large bowl. Toss in spicy croutons, ½ cup chopped celery and ¼ cup bleu cheese crumbles. Serve immediately. Whisk together ¼ cup olive oil and 2 tablespoons red wine vinegar in a large bowl. Toss in croutons, 1 chopped avocado, ¼ cup fresh basil and ½ cup mozzarella pearls. Season with salt and pepper. Serve immediately. Whisk together ¼ cup olive oil and 2 tablespoons red wine vinegar in a large bowl. Toss in croutons, ½ cup halved cherry tomatoes, ½ cup chopped bacon and ¼ cup shredded cheddar cheese. Serve immediately. Blended to perfection, this slush will last longer on hot summer days by just adding a few more ice cubes. To please a crowd, multiply the ingredients by the number of people you’re serving and pour from a chilled pitcher. Adjust consistency by adding additional ice for a thicker slush. Transfer to a tumbler or pint glass. Garnish with a fresh pineapple wedge and cherries. For a non-alcoholic version, omit the tequila and replace with additional pineapple juice or milk. Create a basic simple syrup using 1/2 cup water and 1/2 cup sugar. Heat in a small saucepan over high heat, allowing sugar to fully dissolve. Simmer 5 to 10 minutes or until mixture starts to thicken, then remove from heat and allow to cool. Transfer to an airtight container and store in the refrigerator until needed. Try experimenting with infused simple syrups. Muggy mornings often leave us craving something cold, which makes iced coffee with a kick of whiskey a no-brainer. If keeping with tradition, Jameson Irish Whiskey is the liquor of choice; however, it can be replaced with Baileys Original Irish Cream if you prefer a sweeter drink. Begin brewing coffee if not using cold brew or pre-brewed. Once brewing is finished, allow to cool. Meanwhile, add the heavy cream to a large mixing bowl or the bowl of a stand mixer. Use a hand mixer or the whisk attachment on a stand mixer to begin frothing the heavy cream. Once the cream is frothy, add the sugar and vanilla extract. Continue to whip until cream thickens to soft peaks, about 3 to 5 minutes. Be sure not to overmix or the cream may become grainy or start to separate. Fill two tumblers with ice and add Irish whiskey. Pour coffee over the top and add sugar. Stir to combine and cool the coffee, then add half & half or cream to taste. Spoon the vanilla whipped cream on top and dust with cocoa powder or cinnamon if desired. Serve immediately. Store remaining whipped cream in the refrigerator, up to two days. If using glassware, store tumblers or glasses in the freezer. Remove just before serving. To save time, use pre-brewed coffee from your morning routine or prepare a pot of coffee the evening before. Store in the refrigerator until ready to mix. Whisk together the ranch seasoning, buttermilk and mayonnaise. Refrigerate at least 30 minutes. Cook pasta to box instructions. Drain and cool. Add cooked pasta, cheddar, peas and bacon to a large serving bowl. Toss together with ranch dressing, beginning with ½ cup, adding more if desired. In a small saucepan, heat cream until bubbles begin to simmer along the edge of the pan. Place chocolate chips into a large, heat-proof bowl and pour hot cream on top. Let set 2 minutes. Using a rubber spatula, fold together the cream and chocolate until smooth. In the bowl of a stand mixer, beat cold egg whites and cream of tartar on high speed until soft peaks form, about 5 minutes. Add in marshmallow crème and continue to beat until stiff peaks form, about 2 more minutes. Top pie and finish to recipe instructions. Prepare chocolate filling and pour into graham cracker crust. Refrigerate 30 minutes until set. 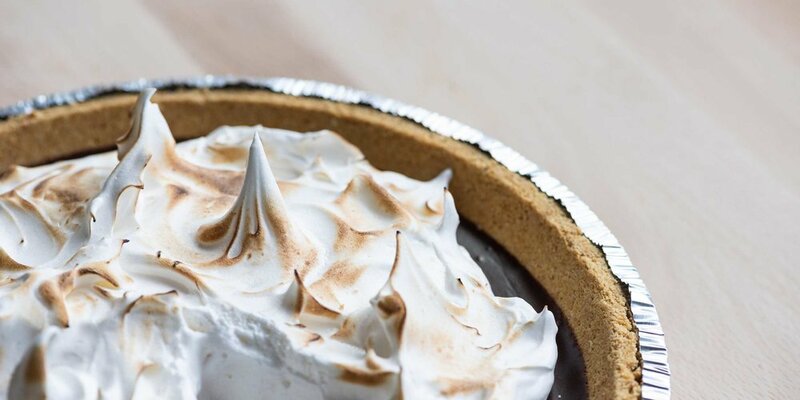 Prepare marshmallow meringue and top pie. Using the kitchen torch, carefully toast the meringue topping. If you don’t have a torch, heat oven broiler and brown the top for 2–3 minutes. Looking for the land of milk and honey? 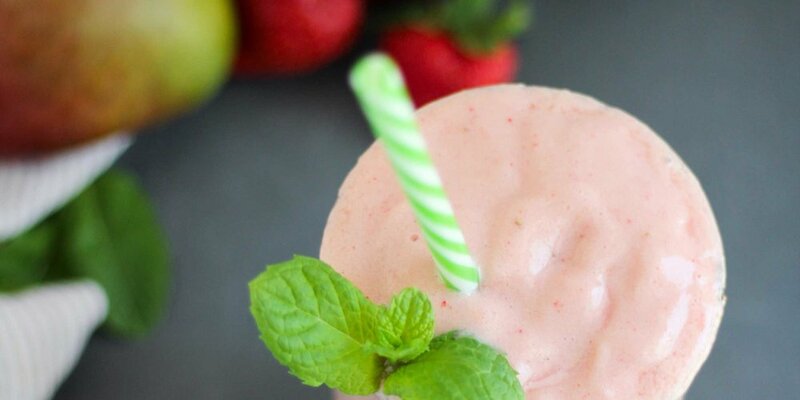 This creamy concoction takes us one step closer to summer cocktail paradise. Heat water and honey in a small saucepan over medium-high heat. Allow honey to fully dissolve and add culinary lavender. Bring to a gentle simmer, then remove from heat and allow to cool. Strain syrup through a fine mesh strainer to remove lavender. Store chilled in a mason jar or other airtight container until needed. To craft your cocktail, add ice to a cocktail shaker. Pour in spiced rum, lavender honey syrup and egg white. Add heavy cream last. Cover and shake vigorously for at least 30 seconds. Pour over ice into two lowball glasses or small tumblers. Garnish with additional lavender if desired and serve immediately. Culinary lavender can be sourced from local culinary centers, or spice/tea shops or ordered online. Follow food safety practices when handling raw eggs. Use fresh, unbroken eggs, and carefully wash and dry your hands before separating egg whites. Avoid cross-contamination by disposing of shells immediately and washing hands again after separating egg whites. Place cookies into the bowl of a food processor. Grind cookies into a fine meal. If you don’t have a food processor, place cookies in a gallon-sized zip-top bag and seal shut. Using a rolling pin or heavy pan, crush the cookies into a fine meal. Measure out 1½ cups of crumbs and place them in a medium-sized bowl, then mix in butter and salt. Press crust mixture into a pie, tart or springform pan. Using a flat-bottomed measuring cup, press crust evenly into place and up against the sides of the pan. In a large bowl, whisk together pudding mix and milk until smooth. Add in lime juice, zest and cream cheese. Using a handheld mixer, beat until cream cheese is combined and mixture is slightly fluffy. Prepare coconut cookie crust and press into a pie or tart pan. Bake 10 minutes, then set aside to cool. Prepare key lime filling and pour into cooled crust. Refrigerate at least 4 hours. In a food processor, pulse together butter, flour, sugar, cornstarch and lemon zest until clumpy. Add in lavender and pulse until incorporated. Turn dough onto a floured surface and press into a disc. Wrap tightly in plastic wrap and refrigerate for at least 1 hour. Remove from refrigerator and shape into a cylinder that’s roughly 2 inches in diameter. Wrap in parchment paper and place in the freezer for 30 minutes. Heat oven to 350 F. Line cookie sheet with parchment paper. Set aside. Remove dough from freezer and slice into cookies, about ¼-inch thick. Place 1 inch apart on prepared cookie sheet and bake 10–12 minutes. In a medium-sized bowl, whisk together powdered sugar and lemon juice until smooth. Drizzle icing onto cooled cookies and top with a sprinkling of lavender. Let set about 15 minutes, then enjoy or store in an airtight container.